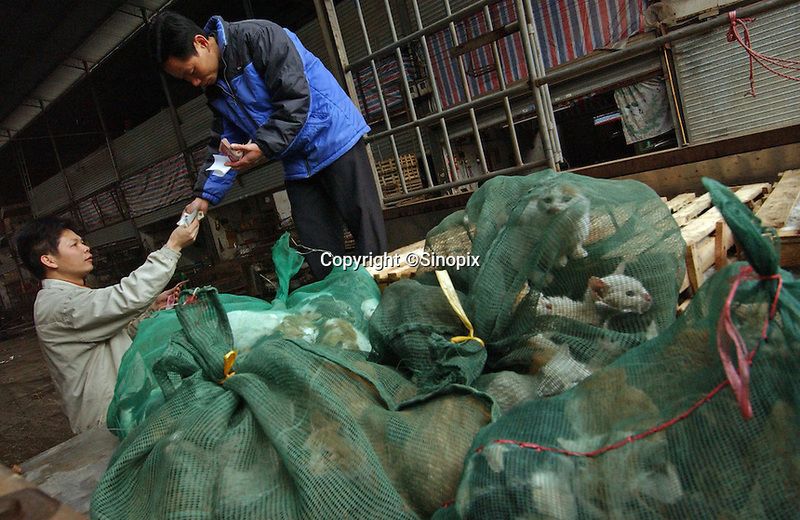 Are transaction of kittens Kkttens are held in a mesh bags is completed at a market in Guangzhou, China, that specialises in selling "live cat meat". The cold winter and the prosperity of the Chinese has resulted in a shortage of the meat that is growing in popularity. Younger cats are being sold and even kittens are sold by the bag. Large cats are sold for 9 RMB per kilo, smaller cats for 6 RMB per kilo and kittens for just 4 RMB per kilo.